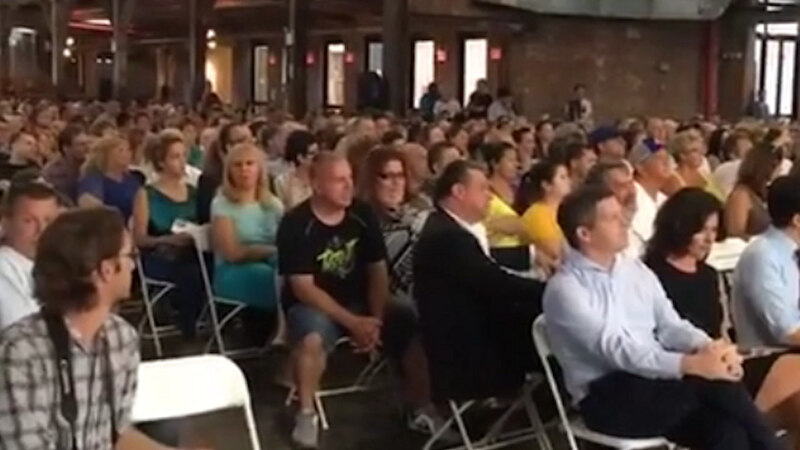 MASPETH, Queens (WABC) -- There was another heated community meeting in Queens about a plan to turn a hotel in Maspeth into a shelter for homeless families. Wednesday night, crowds of angry people crammed into the meeting to vent their rage about the issue. City leaders want to turn the Holiday Inn Express into a shelter for 110 families, many of whom fell on hard times. But critics say the shelter will be a draw for crime and drugs. The city promises around the clock security and says there will be no children under 18.